Goodman Packing & Shipping offers complete art installation services for residential and professional clients. 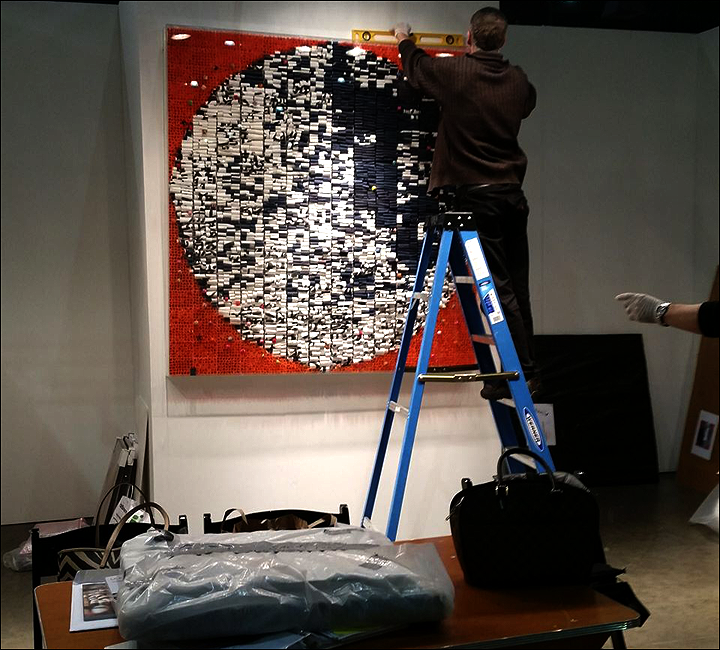 Our experience includes installing art for Special Events, Trade Shows , residential and professional spaces. Our trained teams have museum and gallery level skills and decades of experience in art installation, including installing full art exhibitions, hanging artworks, lighting exhibits and collections, custom pedestals and bases as well as cataloging/documenting. We can offer pickup from multiple locations, staging with full transport and install services(including insurance, customs documentation, dunnage removal/recycling and anything else you might need). Planning a traveling exhibit? we can assist you put together a complete end-to-end package. Give us a call online(it's toll-free) or email us, we'll be glad to answer any questions and provide you with a solution that fits your requirements.